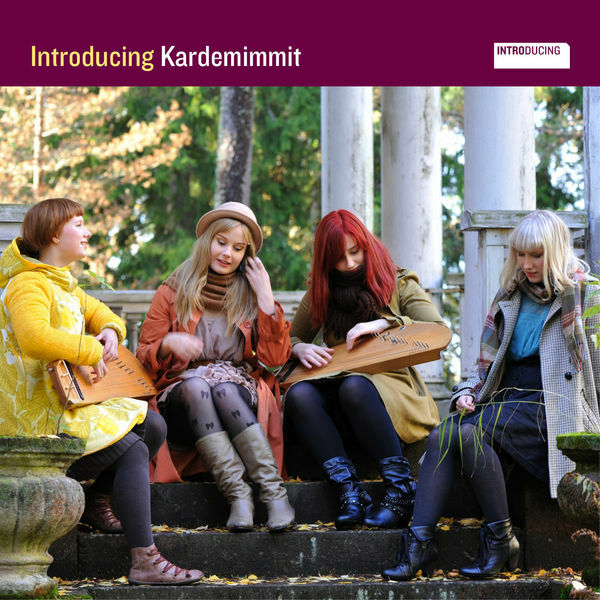 "dreamy close female harmonies and ethereal kantele zither"
Kardemimmit are a four-piece Finnish female group based around tight-knit harmonies and the Finnish national instrument - the kantele (a form of Scandinavian zither). 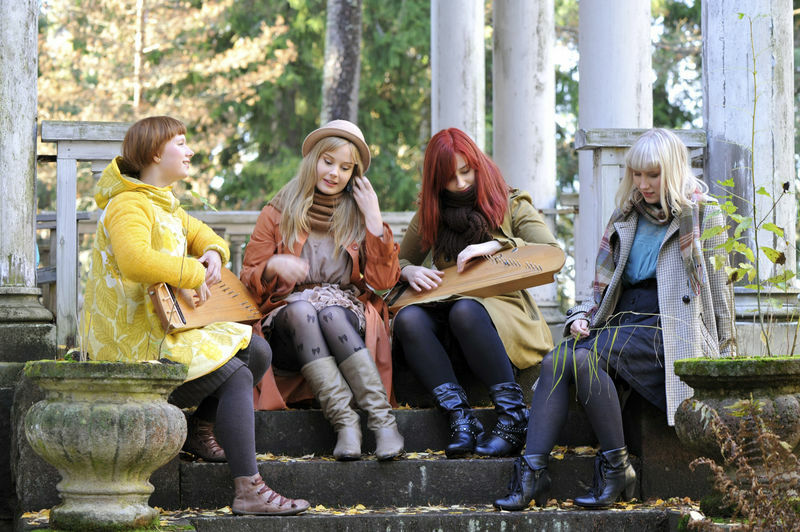 The women and close friends: Maija, Jutta, Anna and Leeni each plays the kantele as well as singing. Played on the lap by plucking and stroking the strings, the kantele has a delicate, crystalline sound and this combined with the closely-woven vocals of the singers creates a serene atmosphere of great beauty, at once surprising and ethereal yet locked into the Finnish landscape and folklore. The album contains a mixture of polkas, laments, lullabies and love songs alongside titles which translate as Sea Rush, Silent Sunset, Frozen Rose and Maiden of Death, the latter which tells of a spirit that rows in from the sea to collect the souls of the dead. This is modern Finnish folk music, combining new songs and rejuvenated old ones with a quirky edge in the reki-singing, runosong and Perhonjoki valley styles. There are also some other instruments featured in a few of the tracks on the album such as fiddle, keys and banjo. Entitled “Introducing Kardemimmit” (World Music Network INKTRO121DD) this is their first international release, although Kardemimmit are well-known in Scandinavia having played and toured for ten years together. In summary: a beautiful chilled rejuvenation of Finnish folk featuring dreamy close female harmonies and ethereal kantele zither.